Identify the role of RBT in the service delivery system. Review all BACB Guidelines for Responsible Conduct relevant for RBTs. 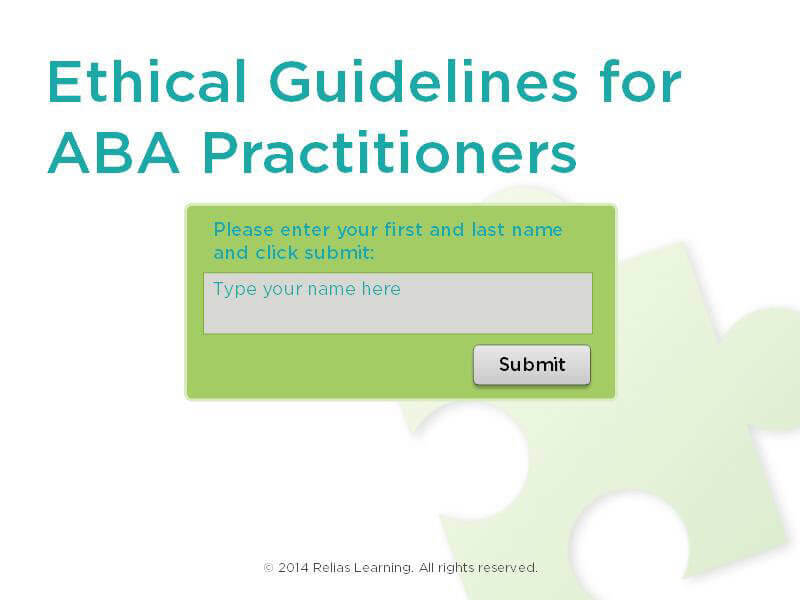 Maintain Integrity while delivering ABA services. Maintain professional and scientific relationships. Understand the rights and prerogatives of clients.